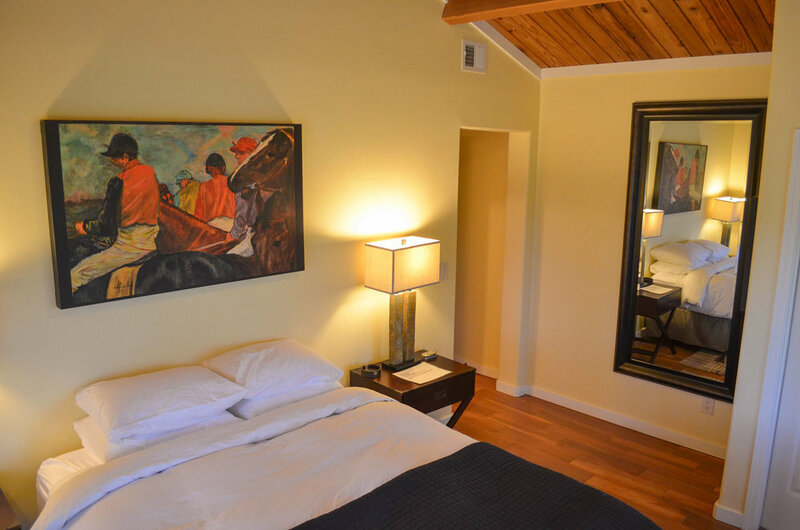 Room 3 is a Deluxe corner room that can be found in the north portion of Hilltop Rise. It receives afternoon sun and looks out toward the southwest hills of the valley. There’s a desk with focused lighting, a large wall mirror, and a generous wall closet. The room’s private bathroom with step-in tub/shower comes with complimentary soap, shampoo, body wash, and hairdryer.